Spend the morning exploring Salt Lake City. 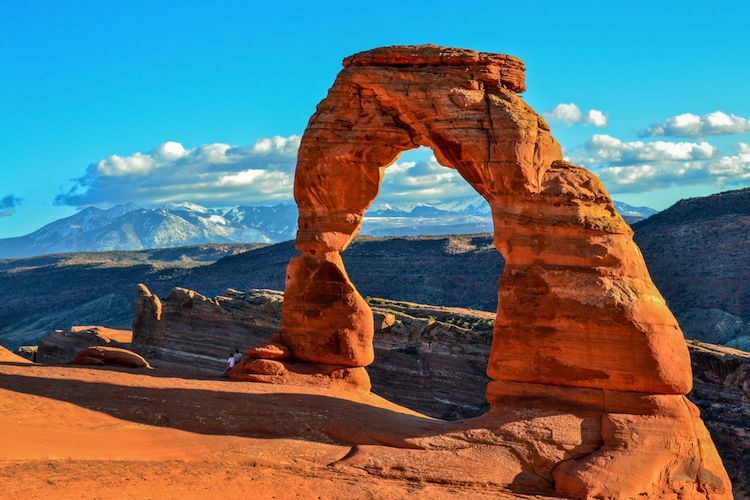 Then travel to Moab, where the landscape is distinguished by thousand-foot-deep canyons as well as snow-capped peaks. 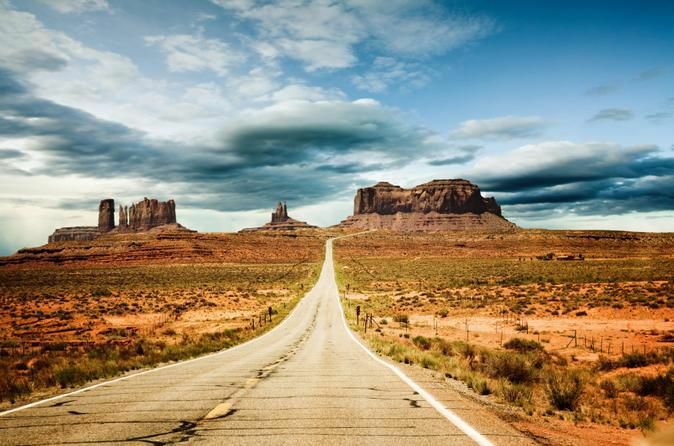 Moab’s unique combination of small town hospitality and beautiful scenery has made it one of the most sought after destinations in the Southwest. Journey today to two of America’s most spectacular National Parks. Your first stop, Arches National Park, is home to over 2,000 natural sandstone arches, including the awe-inspiring Delicate Arch, in addition to hundreds of soaring pinnacles and giant balanced rocks. This red rock wonderland will amaze you with its formations and inspire you with its most unique scenery. Then it’s on to Canyonlands National Park where you will explore the color drenched landscape of sandstone eroded into hundreds of canyons, mesas and buttes by the forces of time and the Colorado River. This evening enjoy an optional Jet Boat Float trip on the mighty Colorado River. Visit Capitol Reef National Park, a destination of extraordinary natural beauty established in 1937 to protect a unique geological feature. 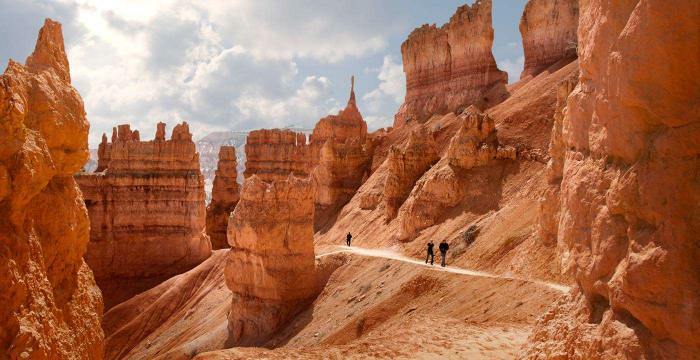 Continue to spectacular Bryce Canyon National Park, where a tour through a multi-colored world of sandstone spires and pinnacles, “hoodoos”, will dazzle the eye. This evening, weather permitting, be sure to gaze upon the spectacular night sky filled with sparkling stars and brilliant constellations and enjoy the aroma of pinewood campfires. Travel to stunning Lake Powell, where crystal blue water laps against towering red rock canyon walls.After crossing the Colorado, enter the Navajo Indian Reservation and drive through the Painted Desert via Cameron Trading Post. Arrive at Grand Canyon National Park, one of the 7 great natural wonders of the world. Stop at the rim to fully experience this mile-deep colorful canyon’s plunging gorges and rising spires formed by the mighty Colorado River. Overnight in Flagstaff. Descend the high Coconino Plateau into the Mojave Desert. Along the way, pass through Seligman, a town built along famed Historic Route 66 that looks as if it were frozen in time 60 years ago. Then it’s onward to Las Vegas, the dazzling “Entertainment Capital of the World.” Free time this evening allows you to experience the sights and sounds of this wonderland first hand. Walk the famous Strip lined with mega-resorts, dine at world-class restaurants, catch the latest star-studded show, or enjoy breathtaking views during a ride on the all-new, 550-foot tall High Roller, the world’s tallest observation wheel and the most exciting attraction to hit the Strip. Your tour ends upon check-out from your hotel. - Taxi: Independent taxi service is available to transport passengers from the airport to their hotel. Approximate fare should not exceed USD $30, plus any toll charges that may apply. Passengers should secure rate before hiring. - Day 1 (Friday): Upon arrival, passengers should check-in at the front desk of The Little American Hotel and identify themselves as participants of ATI’s Western Bonanza/National Parks Treasures Motorcoach Tour. In the evening, passengers will be contacted by ATI’s Tour Director. 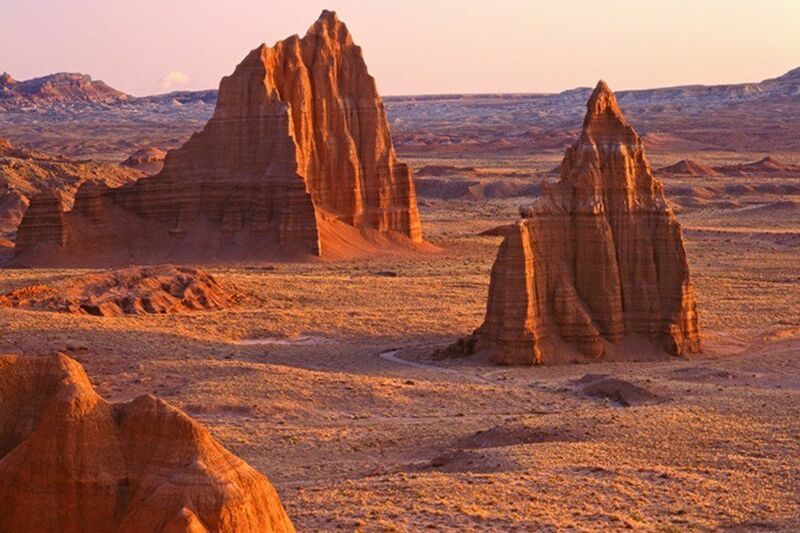 - Day 2 (Saturday): ATI’s National Parks Treasures Motorcoach Tour departs for Moab at 8:00 am. Passengers should meet ATI’s Tour Director in the lobby of the Little America Hotel with their luggage at 7:30 am. - Day 7 (Thursday): ATI’s National Parks Treasures Motorcoach Tour concludes upon check out from the Luxor Las Vegas Hotel.